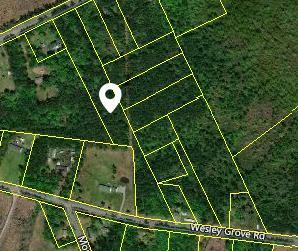 Over 5 acres of dual frontage on wesley chapel ave. And wesley grove rd. Huge potential with the ability to subdivide if desired. Just around the corner from cottageville, charleston, and summerville! Listing information courtesy of The Boulevard Company, LLC. The data relating to real estate for sale on this web site comes in part from the Broker Reciprocity Program of Charleston Trident Association of REALTORS. All information is deemed reliable but should be independently verified.